After 80 Years, Hemp, the Non-psychoactive Cousin of Marijuana, is Legal Again in the U.S.
United States’ hemp agriculture has been given the “green light” in the 2019 Farm Bill. President Trump signed the 2019 Farm Bill that was passed by both the Senate, with an 87 to 13 vote, while the House voted it into law with a 369 to 47 count. President Trump signed it into law on December 20th, 2018. It includes a clause that legalizes hemp agriculture throughout the entire United States. What had been a valued commodity for thousands of years among varied cultures, including America until immediately after WWII, has been a viable cash crop denied to American farmers, till now. Even though many of our U.S. founding fathers grew hemp as an agricultural product in the 1700s, it has been illegal to grow in the U.S. for over 80 years. From circa 1960 to now, hemp advocates have been constantly campaigning to bring hemp agriculture and hemp products back into open commerce. 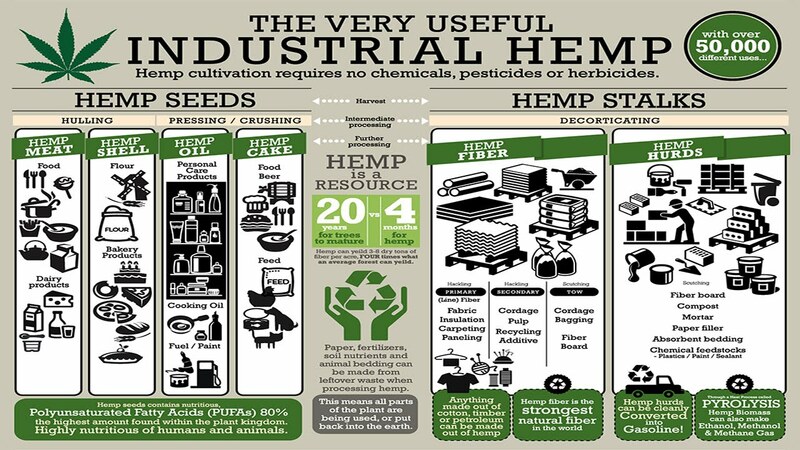 Hemp advocates have tended to promote the superiority of many hemp products over ecologically-destructive material sources for paper, clothing, plastics, and even building materials. But it appears that what has finally swayed the nation’s lawmakers was the fact that many farmers need this agricultural option to improve their lot for a variety of reasons.